When she’s not working at her local framing and art shop, The Artist Framer, Stefanie Lalor can often be found around town painting some of her favorite scenes. 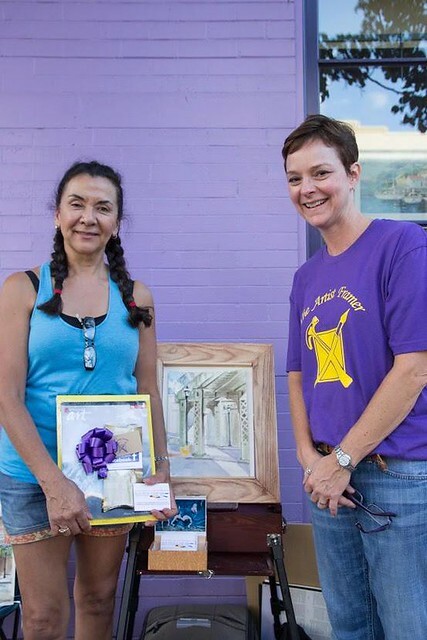 So it was a natural fit last year when The Artist Framer sponsored its first Cranford Paint Out, a plein air event where artists paint notable Cranford scenes. Stefanie was so thrilled with the turnout that it was an easy decision to hold it again this year. The 2nd Cranford Paint Out will be held on September 17. People can register as either a Young Artist (16 & under) or Community Artist (17 & older). Registrants will show up on September 17, receive a list of suggested scenes, and starting at 1PM will have 2 1/2 hours to paint. The finished pictures will then be displayed on the south side of the train station from 4-5PM. The paintings will be judged, and Stefanie has lined up some great prizes, including a $100 gift certificate to A Toute Heure and a set of Vasari Oil Colors. Stefanie stresses that the event is open to anyone who likes to paint, amateurs and professionals alike. 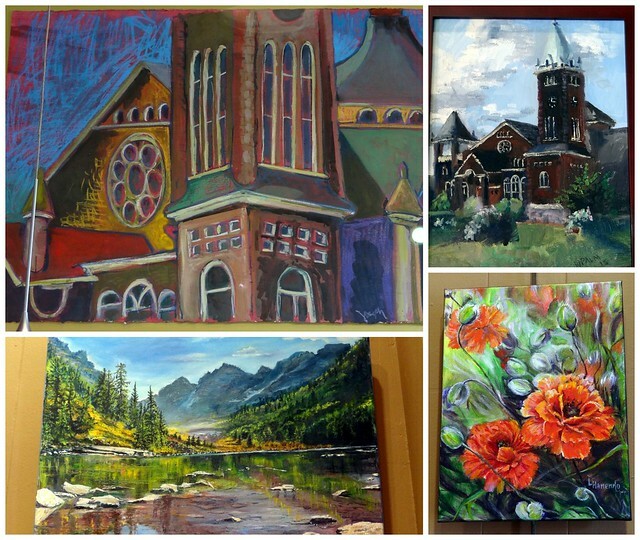 Plein air events have become popular throughout the country as they often bring in enthusiastic, energetic people who have a love for painting and the community. The Artist Framer will be offering a plein air workshop the Friday before the event, held by noted painter Tony Conner, who will also be a judge at the Paint Out. In addition, plein air works will be on display at The Artist Framer through September 30th, giving people a preview of what they can expect from the Paint Out artists. The winners from this year’s event will also be added to the current plein-air show so customers can view them until September 30. When asked about her favorite Cranford landmarks to paint, Stefanie cites Dreyer Farms, the clock at Eastman Plaza, and The Cranford Hotel. You may even see her around town, painting a scene that catches her eye. Whether you participate in the Paint Out or just come downtown to see the finished artwork, we hope you’ll enjoy seeing all of the artwork showcasing what makes Cranford great.